Someone has finally figured out that you need a good coat of white under neon to really make it pop. 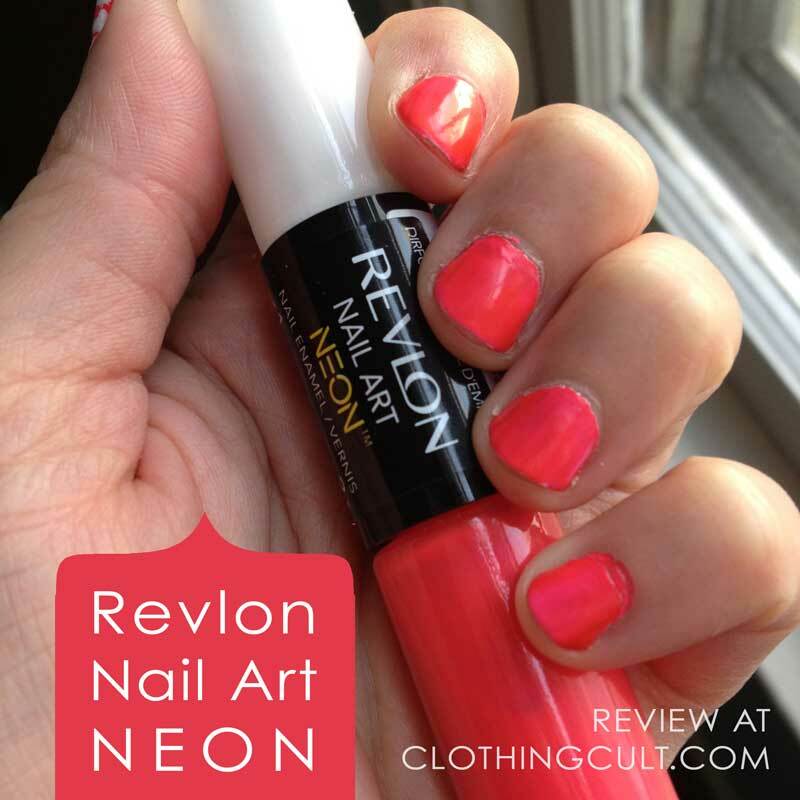 Enter Revlon’s Nail Art in Neon. I bought the “Pink Glow.” I love this color! AND it chips fast even when you use another white under it. I did my toenails with my normal Sinful Colors base coat, a coat of the Revlon white (it was streaky) and then two coats of the pink. 3 days and it was already chipping. 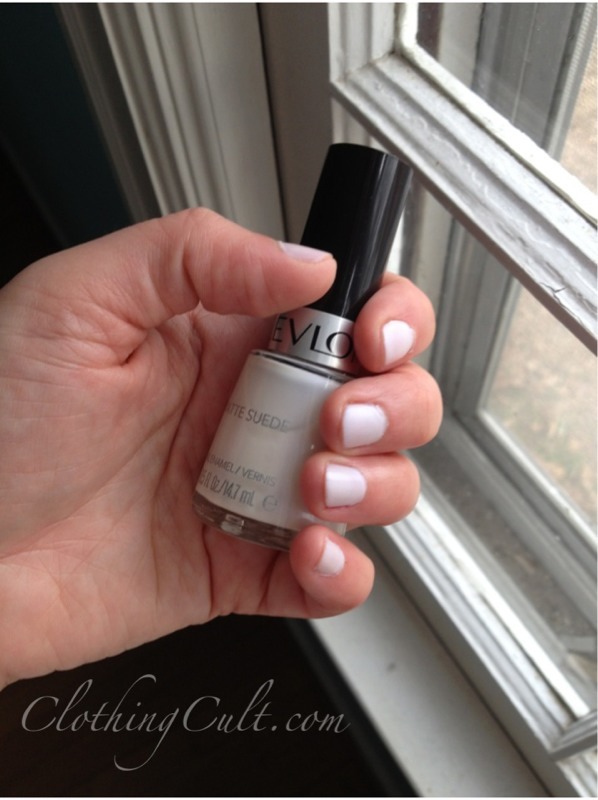 On my hands I did the same thing but replaced the Revlon white with a Sinful colors white that was less streaky. It started chipping at day 3 as well. Usually I can get at least 5 days out of nail polish anymore before huge chunks fall off. 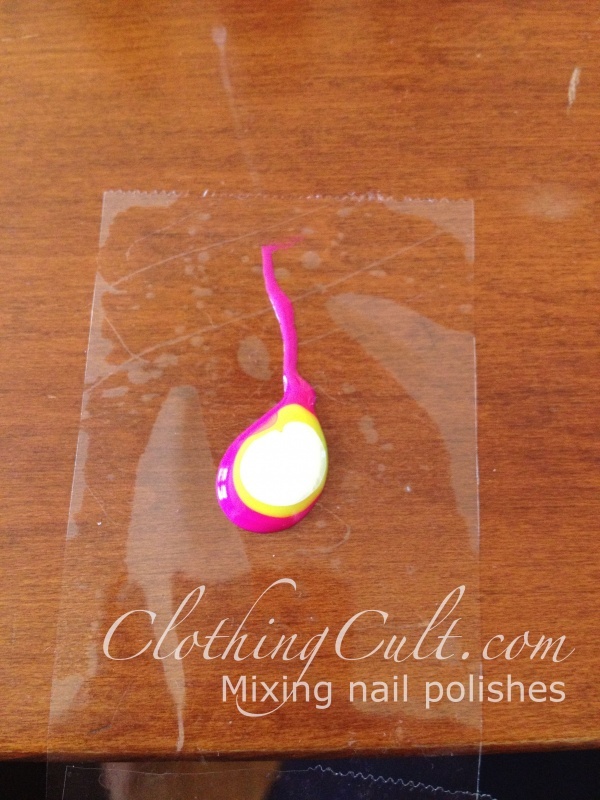 I also used the Sinful Colors Nail Art in white to create a chevron pattern on one thumb. The tiny brush needed a little trim because it had a stray hair hanging out but other than that, I like it. So maybe it needed top coat or maybe it’s time for a new base coat. It’s a fun color however and I’ll give it another try. The applicator shape is actually kinda nice. 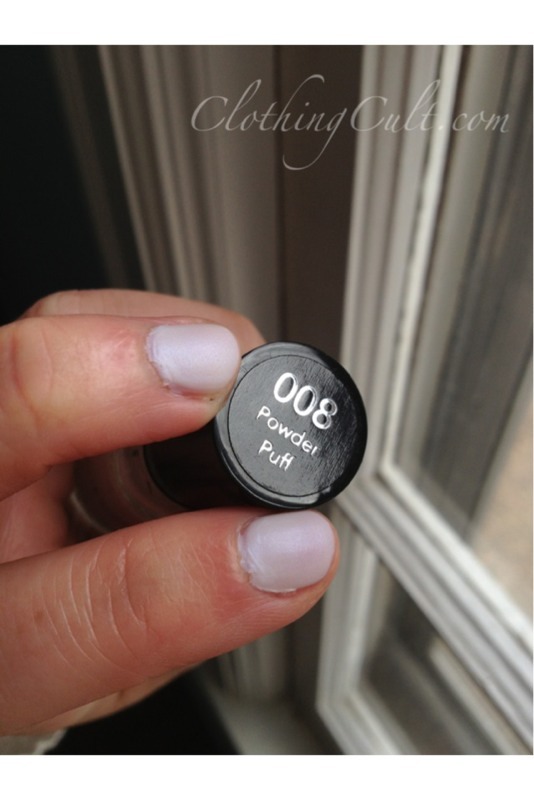 More like holding a lipgloss tube than a nail polish bottle. Not going to stand on the table which may affect your opinion of it though. 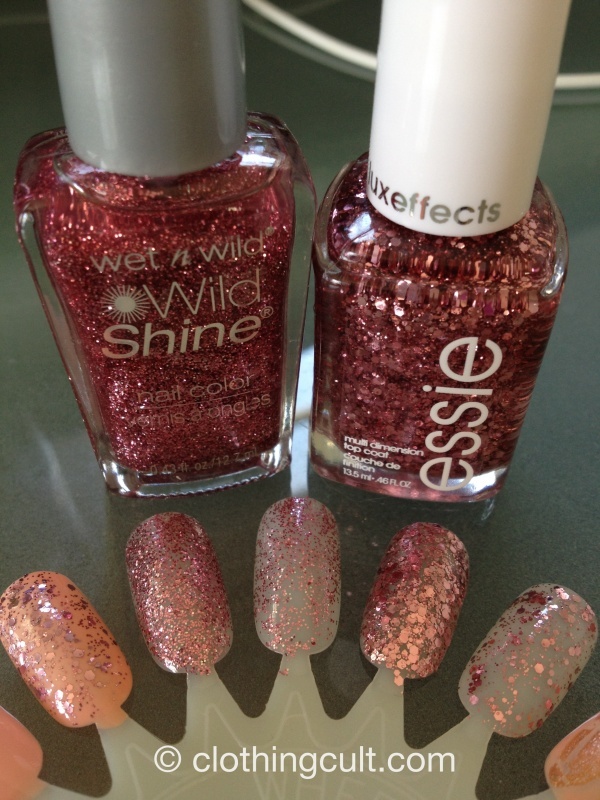 I SWEAR this isn’t going to be a nail polish blog. It’s just what I’m a little obsessed with at the moment. Anyway they are nice little bottles and I mixed up two different colors. So what do you think of my custom mixes? 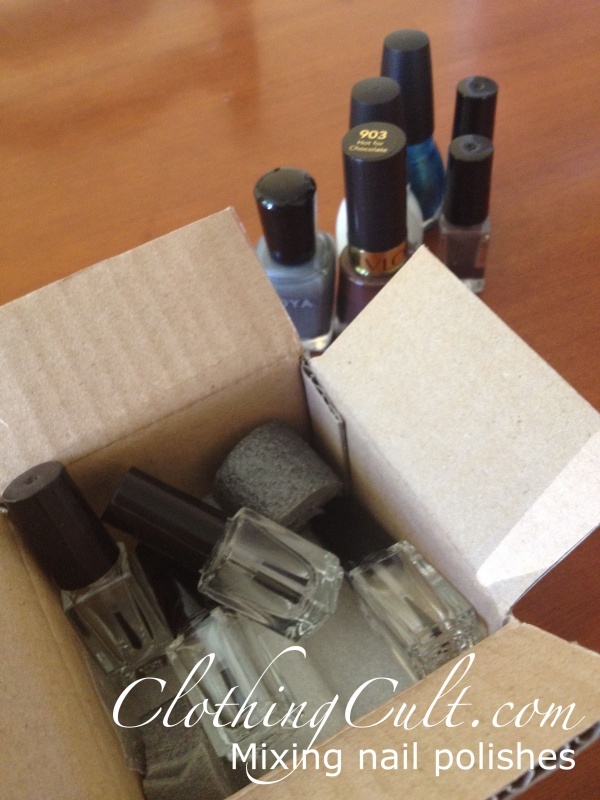 And have you ever mixed your own personal nail polish colors? Not the best nail painting going on in the photo but I think it’s a really fun color. A matte white with a hint of something else (blue? shimmer? I can’t figure it out.) It reminds me of snow though.